The cruising industry boasts some of the world’s best entertainment including Broadway-style production shows, party bands, musical acts, comedians, variety acts, guest activities, youth activities, enrichment lectures and much more. The onboard Entertainment Department is made up of a variety of cruise ship jobs with the head of the department being the Cruise Director. These outgoing and talented crew, entertain passengers in theatres, lounges, and on deck while support is provided by skilled technicians. In addition, passengers both young and old can take part in daily and evening activities, organized and led by energetic cruise staff and youth staff. For entertainment jobs on cruise ships, cruise lines rely on their authorized network of hiring partners and casting agents to screen and recruit their crew. Cruise Staff (aka: Activities Staff, Activities Host, Entertainment Staff, Social Host, Entertainment Officer) are the face of the cruise ship’s onboard entertainment. While conducting daily activities, these outgoing individuals energize guests to participate in everything from pool games to cocktail-making demonstrations. While hosting evening entertainment, they greet passengers at the theatre doors and introduce the musicians, dancers, and specialty to acts the audience. DJs provide entertainment in various shipboard locations which, in addition to dance clubs, include poolside and deck areas, various lounges and bars, and a host of other venues. Not all cruise lines recruit specifically for DJs, and often it is a position that carries out the duties of Cruise Staff as well. The Youth Staff on a cruise ship organizes and leads activities for guests aged three to 17. Similar to the position of Cruise Staff, applicants should have related hosting, stage or public speaking experience along with strong microphone skills. Work experience in guest services, child care, resort or recreational camp is also an asset. Cruise lines require experienced and technically trained dancers with a strong background in ballet, jazz, tap, and musical theatre. 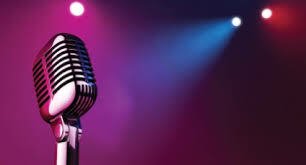 They also recruit vocalists that have exceptional vocal styles in R&B, contemporary pop, rock, and musical theatre. Singers that can dance and dancers that can sing are preferred. Click here for Cruise Ship Auditions and click here for a list of Authorized Cruise Line Casting Agencies. Cruise ship entertainment includes a variety of performances, musical talent, and variety acts that rival what you would experience in Las Vegas. Cruise ship jobs include Orchestra Musician, Party Band (4-6 Piece), String Quartet, Latin Trio, Cocktail Pianist, Piano Lounge Entertainer, Acoustic Guitar Soloist, Vocalist, Comedians, Magicians, Jugglers, Acrobats, Mentalists, Impressionists, and Variety Acts. Entertainment technicians provide support with lighting, sound, automated systems rigging, and stage staff. Today’s cruise lines feature state-of-the-art equipment and require qualified and experienced crew to provide a world-class entertainment experience for the guests onboard. The cruise ship job of Lecturer varies in title as it does for each cruise line. Other titles of this position include Destination Speaker, Destination Consultant, Destination Consultant, Port Lecturer, and Special Interest Speaker. Note that guest speakers are rarely paid a wage and often are required to pay for the benefit of lecturing onboard. Authors tend to take opportunity to sell copies of their books onboard. This position is not to be confused with the Port and Shopping Guide, a product-pitch sales/marketing type of cruise job. For information on Cruise Ship Jobs in the Hotel Department, click here. For information on Cruise Ship Jobs in Marine and Technical Operations, click here.